This is a portable beauty instrument face care rotary brush for home or salon use. It is suitable for all types of skins. The vacuum function is used to clean the dirt in the pores through suctioning tubes. It can also increase blood circulation of the skin. It helps improving the skin elasticity and can decrease discoloration from acne and scars. 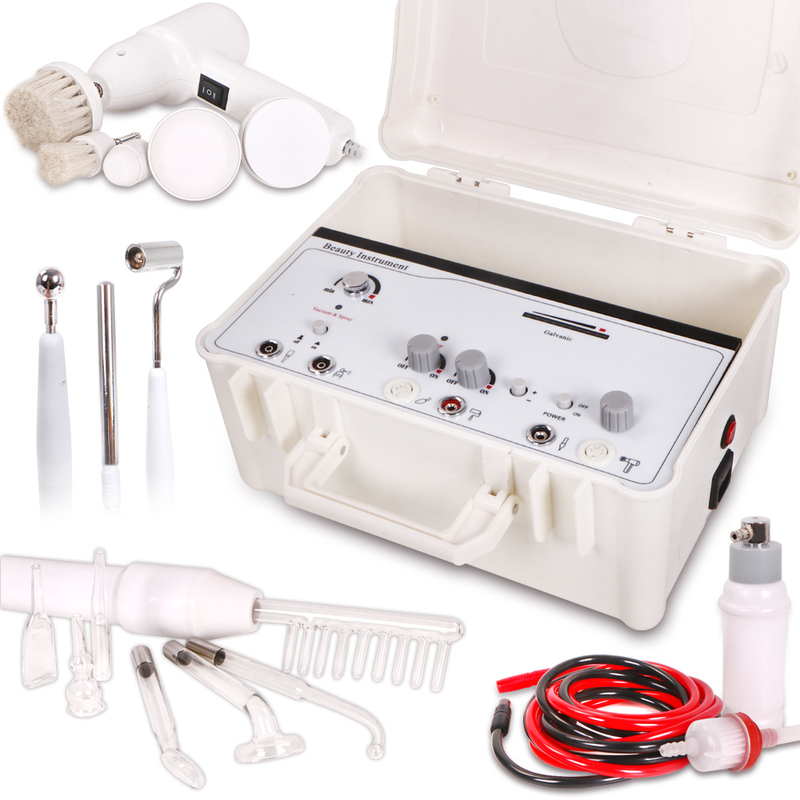 Taking advantage of less than 1000um micro current, galvanic current with the help of positive an negative ions, ionized essence applied on skin, abusorb tiny nutrition particles on ions. Throgh the positive and negative loop circulation principle of electric ions, it takes the absorbed nutrition particles and lead them into deep skin, reaching the muscle layer of skin, to make it be fully absorbed. Using for a period of time(usually around 3 months), then permeability of skin can be greatly improved, and skin will be moist and smooth, the research show that Galvanic micro current absorption efficiency of liquid essence can increase 50%-70% , especially suitable for water-soluble nutrition lead in (such as essence or toner liquid).